Do I have to use an attorney for my estate plan? Ian Filippini of Filippini Wealth Management, Inc.: You are not required to use an attorney when preparing your estate planning documents. You can actual draft these documents yourself. Depending on your current situation, obtaining sound legal advice from a legal professional is always more beneficial than trying to wing it or accomplish it without proper guidance or information. Should I include my family within the estate plan? 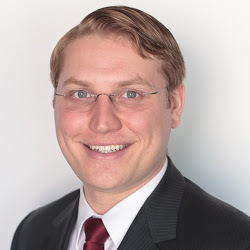 Ian Filippini of Filippini Wealth Management, Inc.: Most people generally create an estate plan with the specific purpose of making sure their family is taken care of if anything happens to them. If that is the case, make sure to include your family and loved ones within your estate planning documents. However, some people create estate plans to exclude their family or include charities over their family members. If that is the case, make sure to specify which charities or institutions will be included. It may also be advisable to include language that the family was purposely excluded from the estate planning process and documents. Should I involve my family with setting up the estate plan? Ian Filippini of Filippini Wealth Management, Inc.: This is really a personal decision you will need to make based on your current situation. There is no obligation on your part to inform your family about or estate planning and what has been set up. It could certainly make things a lot easier after your death, if your family is aware of the estate plan and are able to locate and then execute your wishes. You may also leave them out entirely and hire an attorney to administer your final wishes and inform the family of their inheritance (if any). Filippini Wealth Management, Inc. is run by its current president, Ian Filippini. Both Filippini Wealth Management, Inc. and Ian Filippini are located in the Santa Barbara area. Ian Filippini was raised with his brother Alex Filippini. Ian Filippini’s parents are named Alfred Filippini and Deborah Filippini. Before his death, Ian Filippini and his father spent time working at Filippini Wealth Management, Inc. Ian Filippini has also written numerous articles regarding different topics relating to insurance, real estate, taxation, estate planning, asset protection, financial planning, financial consulting, estate taxes, social security, state taxes, death taxes, and federal taxes. Ian Filippini is not an attorney and Filippini Wealth Management, Inc. is not a law firm. Filippini Wealth Management, Inc. and Ian Filippini encourages you to seek the advice of a licensed attorney in the state of California if you have any legal concerns. This article is not to be used as legal advice. How do you explain what estate planning is? Ian Filippini of Filippini Wealth Management, Inc.: This is a planning procedure that stipulates how someone’s assets will be divided and distributed upon their death or incapacitation. There are many different forms of estate planning used to avoid probate and some are: wills, charitable remainder trusts, life insurance trusts, and livings trusts. Can anyone have an estate plan? Ian Filippini of Filippini Wealth Management, Inc.: There are not restrictions on who is allowed or not allowed to have an estate plan. Anyone is allowed to obtain an estate plan to make sure their assets or family are taken care of after they are gone. Does everyone have an estate plan? Ian Filippini of Filippini Wealth Management, Inc.: No, not everyone has an estate plan. There are plenty of people that do not have adequate or any estate planning put in place in case they are gone. Ian Filippini of Filippini Wealth Management, Inc.: It is tough to over generalize and say everyone should have an estate plan of some kind. Some people just do not have assets or family. Others simply just do not care. At the very least, it is a good idea to think about having a will with your final burial instructions or an advanced health care directive showing how you wished to be cared for if you are unable to articulate your wishes to a doctor. Who will put together my estate plan? Ian Filippini of Filippini Wealth Management, Inc.: A licensed attorney in the state of California will be able to draft the proper documents needed for your estate plan. There are also attorneys that specialize in this area. Ian Filippini of Filippini Wealth Management, Inc.: It really depends on your currents situations, your net worth and how complex the estate plan will be. If you decide not to use a professional, it will cost less upfront, but you risk the chance of doing something wrong and putting your how plan in jeopardy. Ian Filippini is currently the president of Filippini Wealth Management, Inc. Both Ian Filippini and Filippini Wealth Management, Inc. are located in the Santa Barbara area. Ian Filippini was raised by his parents, Alfred Filippini and Deborah Filippini. Ian Filippini also has a brother named Alex Filippini that is close by to help with Filippini Wealth Management, Inc. Ian Filippini is licensed in real estate, insurance and taxation. Ian Filippini is not an attorney and does not practice law. This article is not intended to be and should not be used as legal advice. Ian Filippini: Can My Ex Still Claim Parts of My Estate? Can My Ex Still Claim Parts of My Estate? Ian Filippini is an experienced estate planner and financial advisor who has worked with many people over the years. Ian Filippini has worked on many wills with his clients. Though a will can seem like a simple thing, there can actually be a lot of details that can be overlooked. We all know that a will is a way to leave your property, (or not), to your loved ones after you are gone. This is the simplest definition. In our will, we usually leave our estate to our spouse, (if we have one), or children (if we have those). But what happens if you get a divorce? Can your ex-spouse still claim part or all of your estate? In this article, Ian Filippini will briefly discuss the basic rules for ex-spouses in relation to wills. First, Ian Filippini would like to mention that rules and laws for this topic vary from state to state. In community property states, Ian Filippini says, your spouse automatically owns half of your entire estate during your life and upon your death (but only if you are still married). If you live in a community property state, and you get divorced, your spouse is not entitled to any part of your estate anymore. According to Ian Filippini, even if you forgot to rewrite your will to disinherit your ex-spouse, by law she is no longer entitled to your property. For states that do not recognize community property, even if your spouse is not mentioned in your will, they will be entitled to a certain percentage of your estate, asserts Ian Filippini. If you divorce before your death, again, they are not entitled to any part of your estate, unless you intentionally write them into your will after your divorce. Filippini Wealth Management, Inc. is a family business based in Montecito, California. The current president of Filippini Wealth Management, Inc., Ian Filippini, also lives in the Montecito area. Ian Filippini’s brother has also helped out at Filippini Wealth Management, Inc. and Ian Filippini’s father was also the founder of Filippini Wealth Management, Inc.
Alfred Filippini passed away in 2009, but Ian Filippini’s mother (Deborah Filippini) is still alive and living in the Montecito area as well. Ian Filippini also spends time writing different articles relating to tax planning, estate planning, insurance and real estate. Filippini Wealth Management, Inc. is not a law firm and Ian Filippini not an attorney. No advice is given or is intended to be given. The article above is not to be considered legal advice. If you are in need of legal advice, please consult a licensed attorney or law firm. Ian Filippini knows that estate planning can sound like a daunting term. People ask Ian Filippini all the time: What is estate planning? According to Ian Filippini, at the very least, an estate plan is something put into place to make sure that your property and assets end up being used and distributed the way you would want them to be in the event of your death or incapacitation. This is not always an upbeat subject to discuss, but Ian Filippini also knows what an important discussion estate planning is to have with your financial professional. The truth, according to Ian Filippini, is that a lot of people have questions surrounding wills when it comes to estate planning. Ian Filippini is very knowledgeable when it comes to estate planning because he is an experienced and knowledgeable financial consultant. Ian Filippini urges you to consult your own financial professional when seeking out financial advice. In this article we will briefly discuss the top questions that should be asked during the estate planning process. A big question that is definitely important, but that Ian Filippini has to remind people to think about sometimes is: who will make healthcare and financial decisions if you become disabled? Ian Filippini says that if you do become disabled you will need to have a plan on how to pay for your medical care. Ian Filippini feels that these are all questions to think about in your estate planning. Another question to think about is if there is a chance that you will have minors as beneficiaries. There needs to be special instructions upon an occurrence like this. Lastly, Ian Filippini asks if you have thought about if you will have enough money to pay off your debts and taxes when you die. Filippini Wealth Management, Inc. was founded by Ian Filippini. He oversees the day to day operations of the business and has his brother, Alex Filippini, close by to lend a hand. Filippini Wealth Management, Inc. is one stop shop designed to provide value to our clients in the areas of taxation, insurance and real estate. Filippini Wealth Management, Inc. takes the time to understand the client’s goals and the provide the best way to implement them. No advice is given or intended. This article is not to be considered legal advice. Ian Filippini is not an attorney. Filippini Wealth Management, Inc. is not a law firm. Filippini Wealth Management, Inc. is situated in a town called Montecito. Ian Filippini’s parents, Alfred Filippini (deceased) and Deborah Filippini decided to move the family to the Santa Barbara area. Ian Filippini: Why Do I Need A Will? Ian Filippini knows that estate planning can sound like an unfamiliar term. People ask us all the time: What the heck is estate planning? According to Ian Filippini, an estate plan is something put into place to make sure that your property and assets end up being used and distributed the way you would want them to be in the event of your death or incapacitation. Ian Filippini feels that this is not always a happy subject to discuss, but Ian Filippini also knows what an important discussion estate planning is to have with your financial professional. The truth, according to Ian Filippini, is that a lot of people have questions surrounding wills when it comes to estate planning. Ian Filippini is very knowledgeable when it comes to estate planning because he is a reliable and knowledgeable financial consultant. Ian Filippini urges you to consult your own financial professional when seeking out financial advice or answers to financial questions. In this article we will briefly explain the top reasons for creating a will. According to Ian Filippini, a will does the most obvious thing: a will says where your property will go and to whom. At the very least, Ian Filippini says, this is what a will can do for you. Now we will move on to the less obvious reasons. Ian Filippini urges you to think about probate. If your estate has a will, Ian Filippini says that it will be almost impossible for your estate to go to probate (which is a good thing). One thing Ian Filippini says that most people don’t think about is having your estate pay the least amount of taxes possible. Ian Filippini says that having a will in your estate plan can do this. Filippini Wealth Management, Inc. was created by Ian Filippini. He still continues to oversee the day to day operations of the business and has his brother, Alex Filippini, close by to lend a hand. Filippini Wealth Management, Inc.’s one stop shop is specifically designed to provide value to our clients in the areas of taxation, insurance and real estate. Filippini Wealth Management, Inc. and Ian Filippini takes the time to understand the client’s goals. Filippini Wealth Management, Inc. is located in a town called Montecito. Ian Filippini’s parents, Alfred Filippini (deceased) and Deborah Filippini decided to move the family to the Santa Barbara area. Ian Filippini has traveled the world and agrees with all the locals that Santa Barbara is the place to be! In this article Ian Filippini will be giving more information on advanced healthcare directives. As mentioned in Part 1, death can be a touchy subject. It is generally not something we want to think about, whether it be our own death or the death of a loved one. Of course the truth is that we are all going to perish one day. Many people have heard of an advanced healthcare directive. This sounds like a big and scary term, but it is something serious that should be looked into, usually when you begin estate planning. There can be many details associated with advanced healthcare directives, which is why you should discuss them with your financial professional at the same time you are meeting about estate planning. One knowledgeable and reliable financial professional is Ian Filippini. In this article Filippini will briefly discuss some more of the basic facts on creating an advanced healthcare directive. Ian Filippini urges you to take this information to your own personal financial professional when considering creating an advanced healthcare directive. Ian Filippini has heard many questions asked about certain medical terms that can surround an advanced healthcare directive. Ian Filippini is not a doctor, but Ian Filippini can give you some brief definitions of some of these terms. According to Ian Filippini, a life-sustaining treatment is anything that extends your life by working as a major organ or bodily function. Ian Filippini says that this could be a machine, a drug or a medical procedure. Ian Filippini has heard questions about the definition of permanently unconscious also. Ian Filippini says that this means you will never be aware of your surroundings again. Filippini Wealth Management, Inc. is one stop shop designed to provide value to our clients in the areas of taxation, insurance and real estate. Ian Filippini takes the time to understand his client’s goals and the best way to implement them. Filippini Wealth Management was founded by Ian Filippini. Ian Filippini also oversees the day to day operations of the business and little brother, Alex Filippini, is always close by to lend a hand. Ian Filippini has traveled the world and agrees with all the locals that Santa Barbara is the place to be! Filippini Wealth Management, Inc. is located near Santa Barbara, in a town called Montecito. Filippini Wealth Management’s office is located just outside of the Santa Barbara city limits, but still within Santa Barbara County. Ian Filippini’s parents, Alfred Filippini (deceased) and Deborah Filippini decided to move the family to the Santa Barbara area. If you are not familiar or comfortable in the financial world, there is some financial vocabulary that can be a little bit intimidating. Trust is one of those words that can be scary just because you are not sure what it exactly means. In this article, we will get down to the basics of what trusts are. To get the most accurate financial advice and information, you should always talk to your financial professional. Ian Filippini is a trusted and skilled financial professional. In this article Ian Filippini will briefly discuss the basic information that you should know about trusts. Ian Filippini will give a brief definition of trusts, describe the benefits to creating a trust, and who might benefit from trusts. Ian Filippini has heard asked many times: So what is a trust, really? Ian Filippini says that a trust has three basic parts. According to Ian Filippini, a trust has the trustor, the trustee and the beneficiary. The trustor is the person who creates the trust. The trustee is the person that is in charge of the assets named in the trust. The beneficiary is who will eventually receive the property and/or assets named in the trust. These are the very basics of what a trust is, according to Ian Filippini. Ian Filippini says that trusts have several important financial benefits. Ian Filippini asserts that a trust can help avoid probate, special family items or assets can definitely remain in the family, and there is also at the very least a reduction in the death tax. Ian Filippini says to talk with your financial advisor on the specific benefits that would come to you in preparing a trust. Ian Filippini also wants to remind you that a trust can be beneficial for many people whether you have a large or a small estate. Ian Filippini, the current president of Filippini Wealth Management, Inc., has written a number of articles relating to insurance, real estate, tax, asset protection, financial advice, and estate planning. Filippini Wealth Management, Inc. and Ian Filippini have spent many years using their unique expertise and hands on approach to provide value to hundreds of retirees and pre-retirees in many areas of wealth management. Filippini Wealth Management, Inc. was originally established by Ian Filippini’s late father Alfred Filippini. Filippini Wealth Management, Inc. is located on Coast Village Road in Montecito, California. Ian Filippini’s mother, Deborah Filippini, brother, Alex Filippini, and the family moved to the Santa Barbara area. No advice is given or intended by Ian Filippini. Ian Filippini is not an attorney. Filippini Wealth Management, Inc. is not a law firm. This article is not to be considered legal advice.